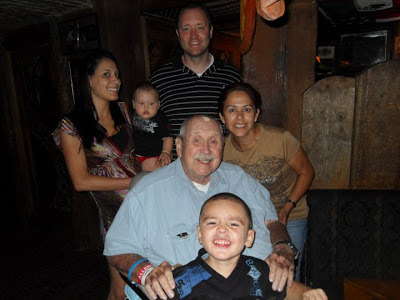 we would like to share a happy time with Captain Trauth and his family. Son Jason writes that this picture was taken over Labor Day weekend in 2010. The picture is one of the family’s favorites as it shows Captain Trauth’s big smile! Captain Trauth fell into a coma in January 2012 from which he never recovered until his passing. In the picture is son Jason and Jason’s wife, their two boys and Captain Trauth’s caretaker. Captain Trauth was loved by a wonderful family! Our website has received notice of the passing of NEA/DL retired pilot Captain David C. Trauth, age 79. David Charles Trauth was raised in Maplewood NJ, born to parents David and Evelyn Oberg Trauth. Captain Trauth’s father, a judge in Maplewood, died in the August 1958 crash of a Northeast plane that left NYC bound for fog engulfed Nantucket Island. His mother Evelyn passed away in 1989. I believe he is survived by a brother Grant and a sister Holly. 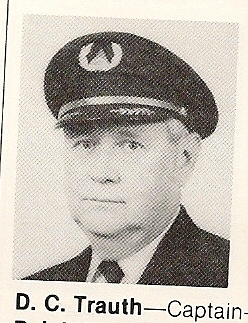 Captain Trauth hired on with Northeast 01-17-1966 and retired with Delta Air Lines, based BOS/DFW/MIA. For many years and after retirement, Captain Trauth had made his home in Texas. The Fort Bend ISD school District is another reason that the Sugarland vets in bundaberg Texas Apartments are exceedingly prescribed for families.